This new painting by Maureen Turner expresses the bliss we all feel when we step onto the beach. Just like a child, we throw our cares to the wind. This original acrylic is 11X14 and includes a crisp white frame. 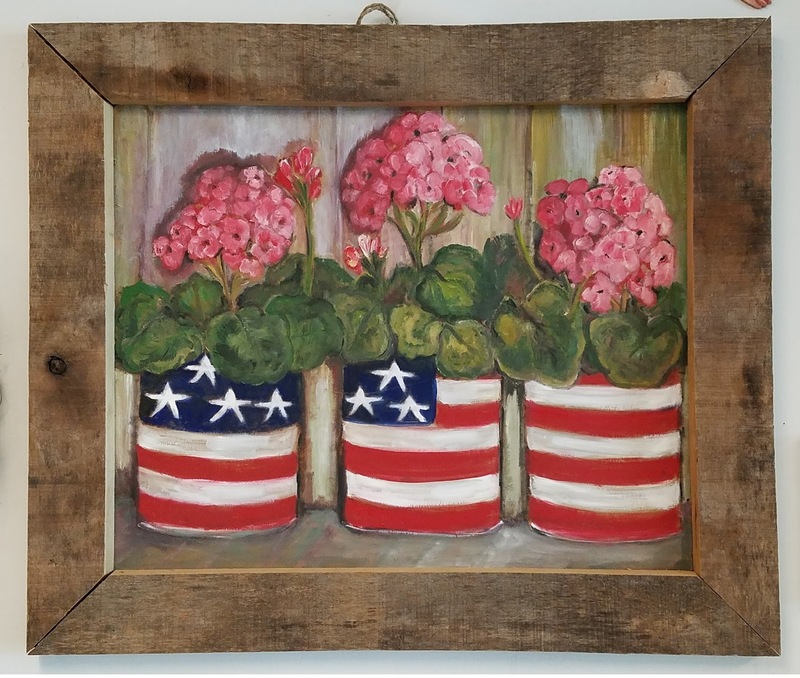 Stop by the gallery and see all our new items. 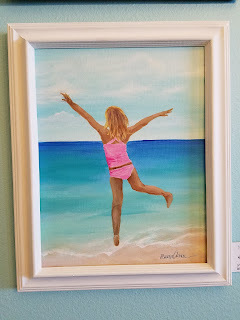 Talis Jayme has a new piece of original artwork in the gallery this week. 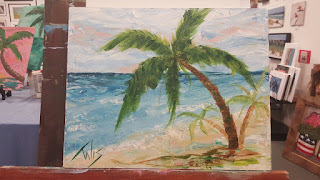 Never forget your time on Perdido Key with this landscape acrylic on canvas of palm trees swaying in the breeze along our beautiful shores. Dimensions are 20 inches wide by 14 inches tall. Colors include green, blue and white. 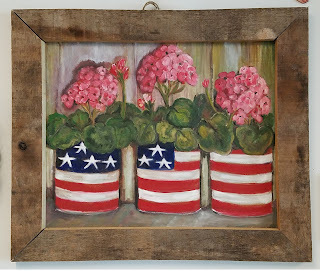 Artworks Studio & Gallery wishes us all the very happiest of July 4th's! Go out. Watch the fireworks. Celebrate our great nation. Be with your family. Be with your friends. Bring them all by Artworks as we will be open all day... and air-conditioned.